This off-white bikini set is indispensable in every summer wardrobe. 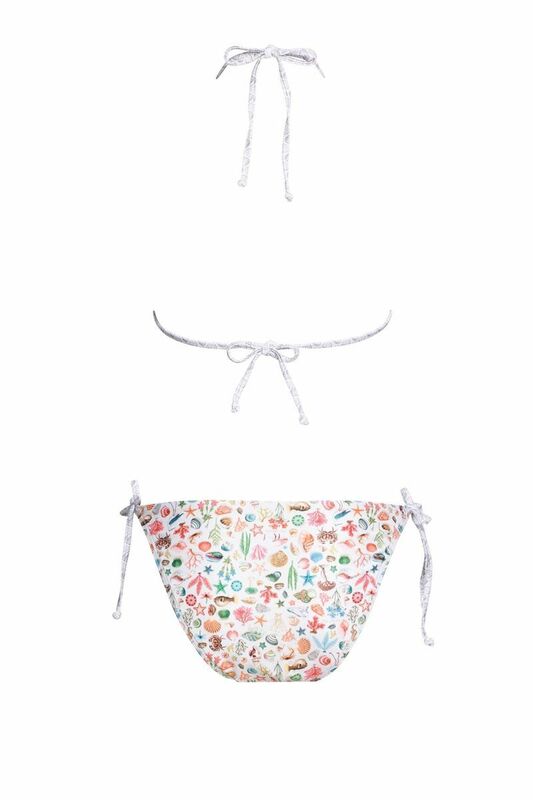 The triangle bikini top has padded cups and both the top and the skirt have an elegant bow tie closure. 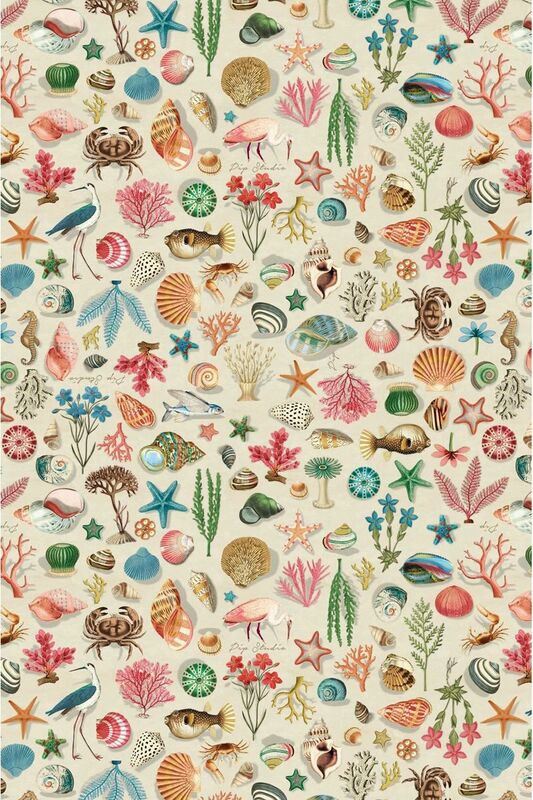 The cheerful pattern shows the colourful treasures of the undersea world.